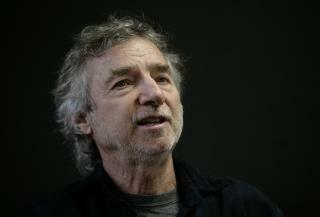 (Newser) – Curtis Hanson, who won a screenwriting Oscar for LA Confidential and directed the psychological thriller The Hand That Rocks the Cradle and Eminem's tale of Detroit hip-hop 8 Mile, has died. He was 71. Paramedics declared Hanson dead at his Hollywood Hills home late Tuesday afternoon, Los Angeles police spokesman Tony Im tells the AP. Hanson died of natural causes, Im says. Eminem was among many who paid tribute to him after his death. "Curtis Hanson believed in me and our crazy idea to make a rap battle movie set in Detroit," Eminem said in a statement. "He basically made me into an actor for 8 Mile. I'm lucky I got to know him." Hanson's LA Confidential is one of the greatest truly American films ever made. In case you don't remember, it starred Guy Pearce, Russell Crowe, Kim Basinger, Kevin Spacey, James Cromwell, Danny DiVito … an incredible cast, well used. RIP Curtis.